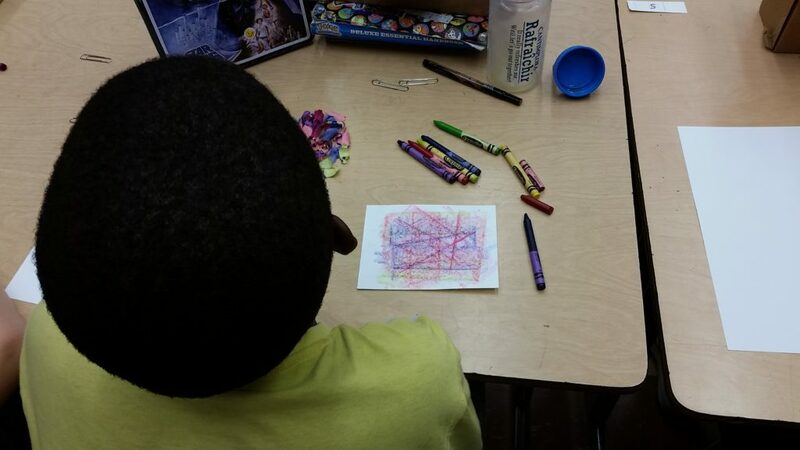 Our School Outreach Programs is pleased to have collaborated with artist Catherine Alice Michaelis this week. Catherine Alice works with printmaking and book arts; she is featured in our NATURE episode and correlating exhibition at the Craft in America Center. 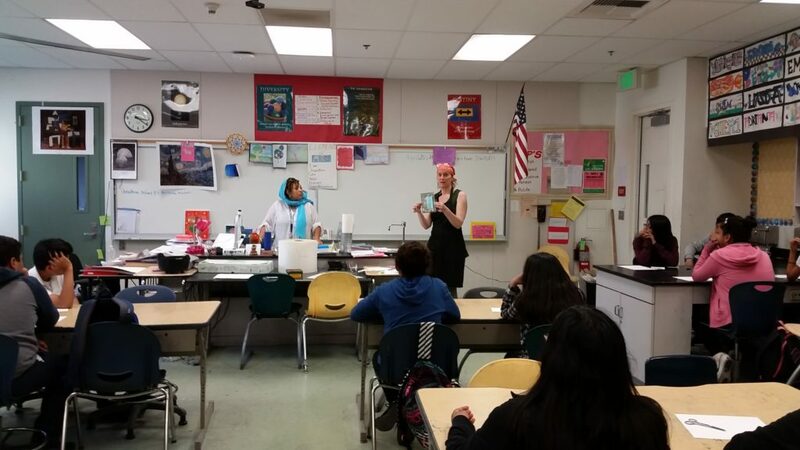 What was special about her visit to Los Angeles was that Catherine Alice was able to work with three different schools, three different grades. 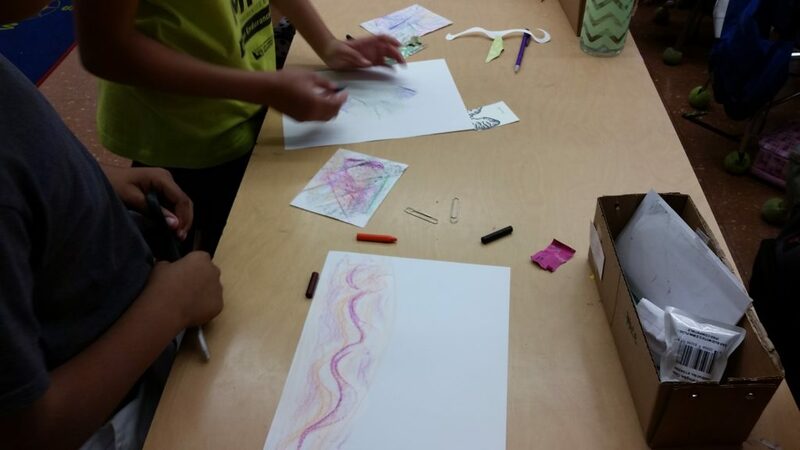 Rosewood Elementary, Clinton Middle School, and Fairfax High School were all able to invite the artist for a printmaking workshop. 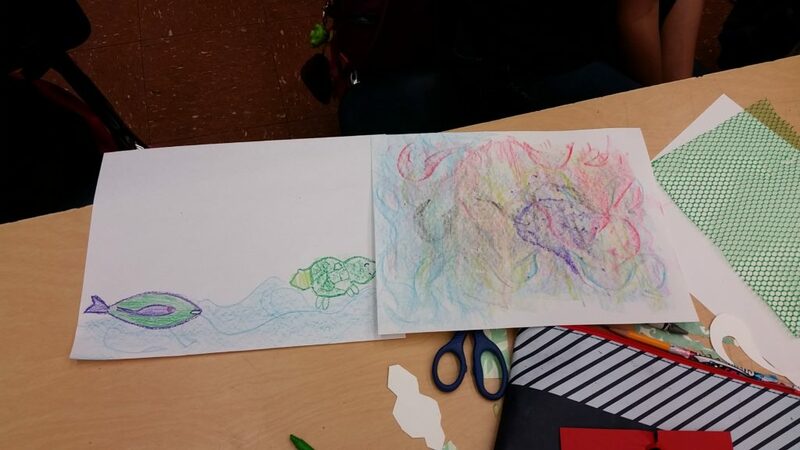 Catherine Alice was such an exceptional lead, that she was able to come up with three similar, yet unique projects to correspond with each grade group. 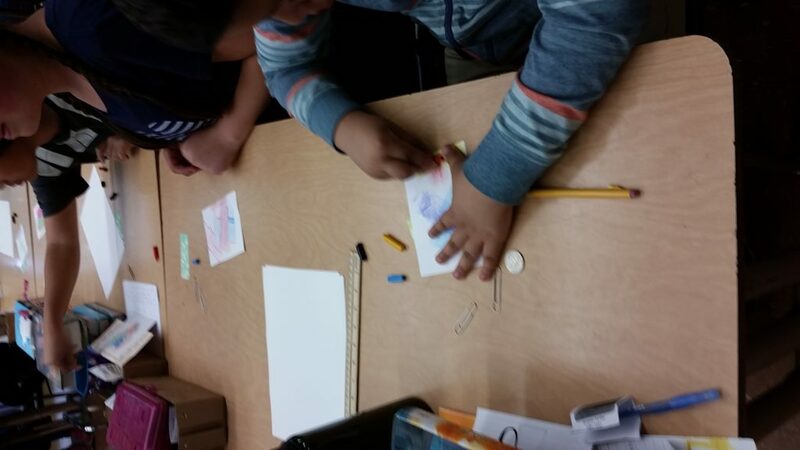 With the elementary students she taught a rubbing workshop; the students were able to use cut out shapes from paper, place them underneath a sheet of white paper and then vigorously rub crayon on top in order to achieve an image transfer. 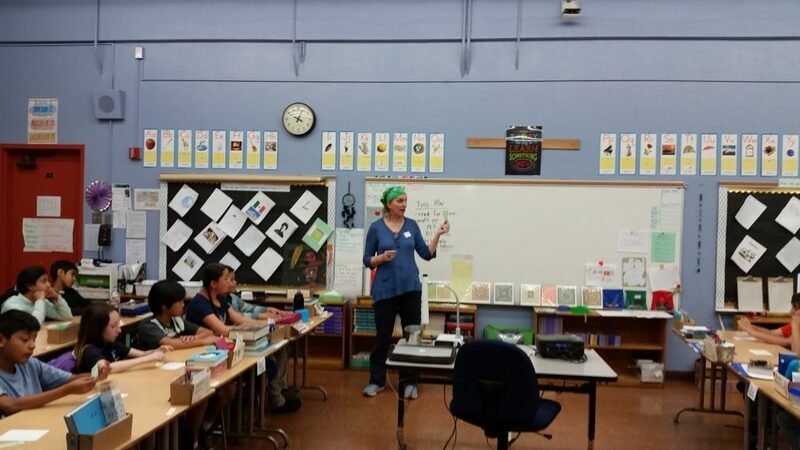 The fifth graders couldn’t get enough of the project and they loved asking the artist questions about her books, her inspiration, and her art process. As we cleaned up the classroom, one of the students departed with the phrase “may nature be with you.” This deeply warmed our hearts. 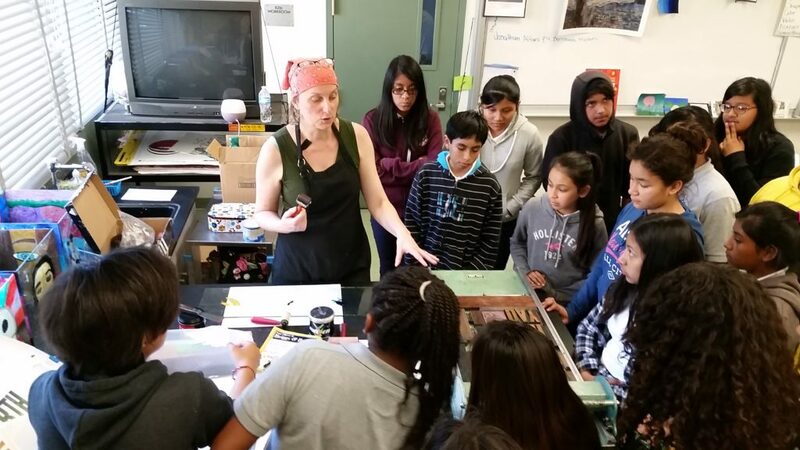 The middle school and high school students were quieter when it came to asking questions, but their attention held a sense of awe towards the printing press. 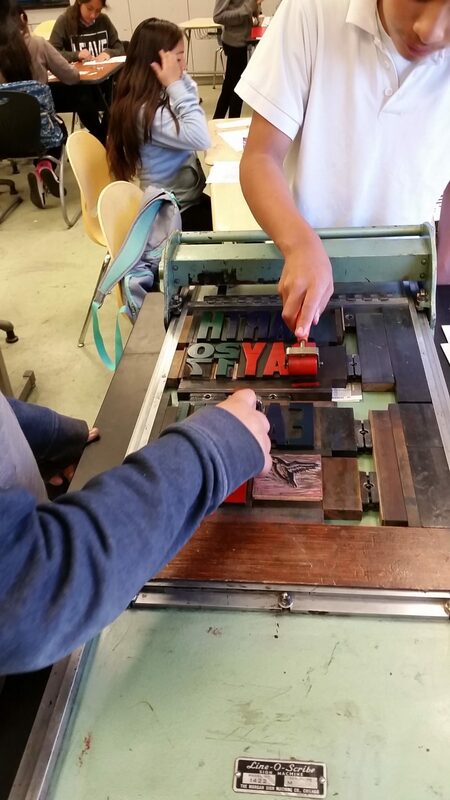 None of the middle school students had ever worked with printmaking before and this was their very first time exposed to type, brayers, printing ink, and a printing press. 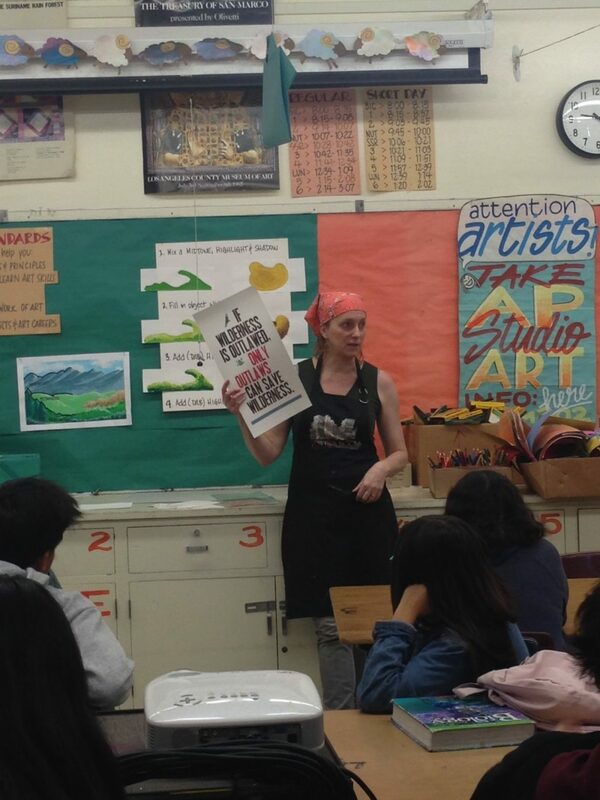 All students were able to work with the tools and materials necessary to create a poster. 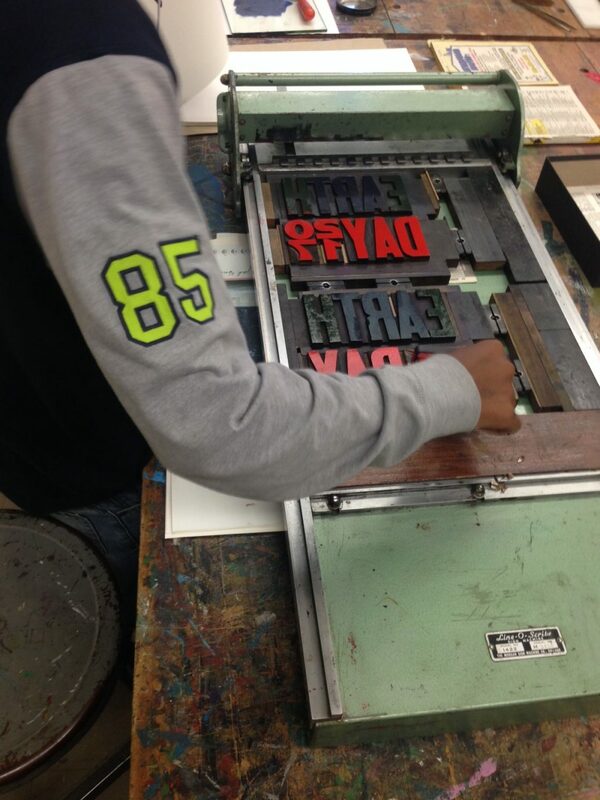 Most of the students wanted to make several copies, but unfortunately we only had time for each student to make one. 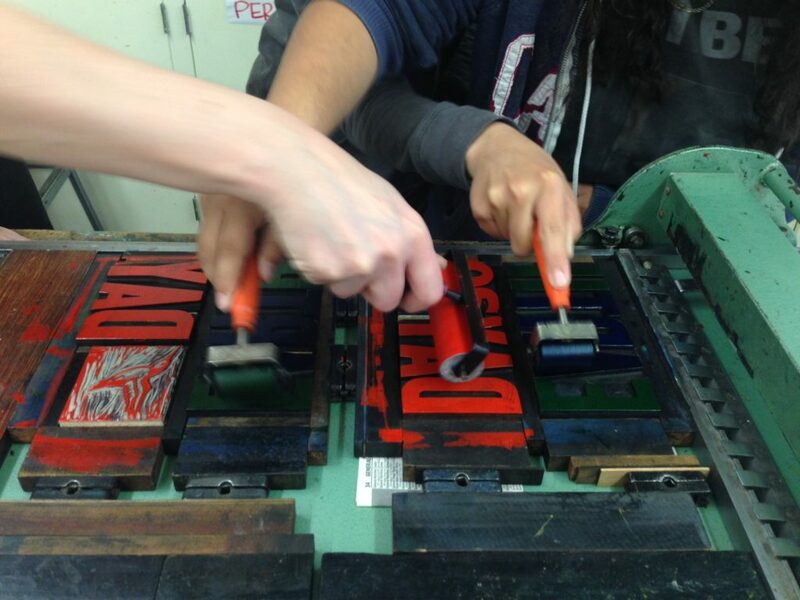 Some of the high school students volunteered to clean the press in order to become better acquainted with the machine and with the artist herself. 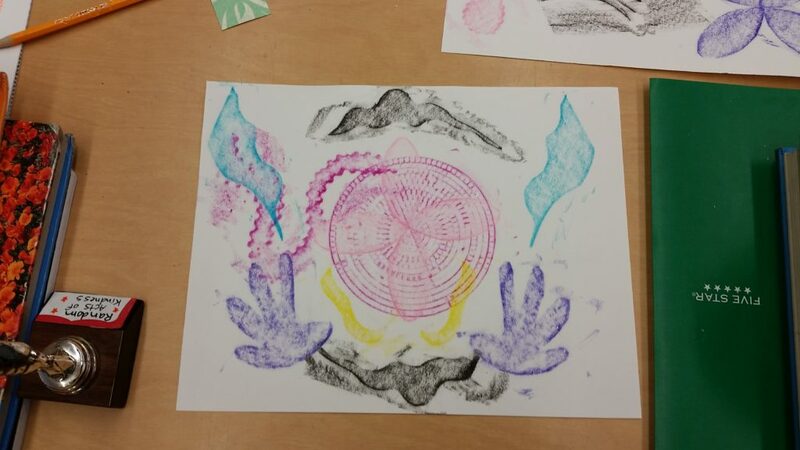 The prints were all successful and many of the students did several rubbings in order to donate to the Center. 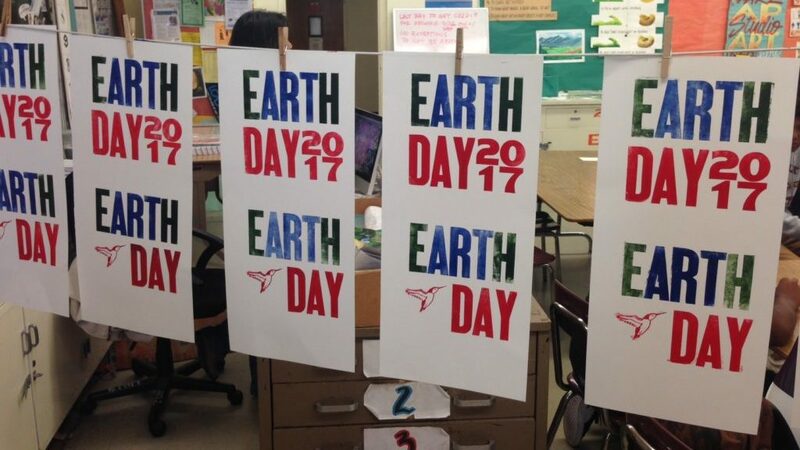 Every student was able to create an Earth Day 2017 poster. This week has been notably exceptional because it leads up to tonight’s airing of our NATURE episode on PBS at 9pm (*check local listings) as well as Earth Day 2017 this weekend.